Everyone knows that buying the right dog food is important—but what’s the best dog food for Rhodesian Ridgebacks? What do you feed a dog that was bred to hunt lions on the plains of Africa? Thankfully, we’ve done some research—and here’s what we found out. How Many Calories Does a Rhodesian Ridgeback Need? A full grown Rhodesian Ridgeback will grow to a height of about 2 feet, 3 inches tall, and will weigh somewhere between 70 and 85 pounds. Believe it or not, this breed was actually bred to hunt big game in Africa—including lions, bears, and boars. You might also be surprised to find out that this dog breed can get away with a fairly minimal amount of exercise on a daily basis. As long as you take them on a few walks and let them run around a little outside (they require about an hour of robust exercise on a daily basis), they’ll be perfectly content to come inside and laze-around with you later on. But be warned—an under-stimulated Ridgeback can be more destructive than a Labrador! Make sure to get them their exercise, or you’ll end up with a very bored, very disruptive canine on your hands! 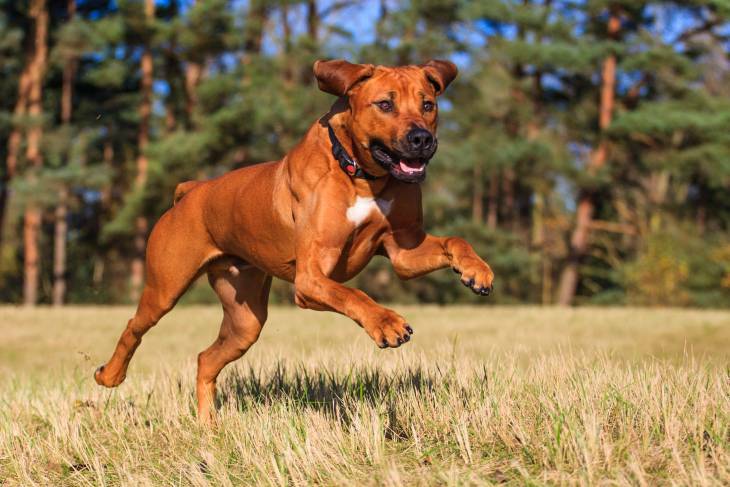 A less-active Rhodesian Ridgeback will require about 1,300 calories on a daily basis to stay fueled and energized—while a moderately active animal in this breed will need somewhere closer to 1,600. If your dog is highly active or gets a lot of outdoor playtime, then you may find yourself feeding a bit more—somewhere closer to 2,500 calories or more per day. If you’re looking for more information on this amazing, one-of-a-kind dog breed, then you should definitely check out this video from the Dogs 101 series. It does a great job of discussing what it takes to own a Rhodesian Ridgeback, and also does a great job of explaining the dog breed’s rather unique history. Adult female Ridgebacks need plenty of Folic acid in their diet—as this is believed to help diminish the possibility of them giving birth to puppies afflicted with a Dermoid Sinus. They also require about an hour of exercise per day—though this is a surprisingly small amount when you consider the fact that this is one of the sturdiest and hardiest dog breeds in the world! They were literally bred to tree lions, and are said to be able to keep up with a running horse for up to 30 miles! Like any other dog breed, Rhodesian Ridgebacks need a quality diet that’s rich in nutrients and whole foods. 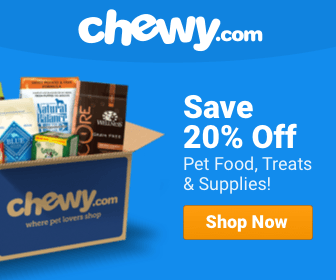 Cheap dog foods definitely won’t do the trick with this canine! Grain-free dog food formulations are the best idea, especially those that contain healthy amounts of meat-based protein. They also need lots of Omega 3 Fatty Acids, as they can be prone to some heart-related problems. The Rhodesian Ridgeback is a very healthy and hardy dog breed, but they can still be prone to a few different diseases and conditions. Of course, a reputable breeder should always test the parents for genetic diseases before breeding—but still, even with these safeguards in place, this dog can still face some challenges. These are some of the most common health problems typically faced by the breed. Of course, not every Ridgeback will end up with one of these—but reading about them will doubtlessly help you to be more informed and aware of what could happen. This breed is prone to a number of different heart conditions—though you can sometimes help to prevent the onset of such problems by feeding your dog a healthy, wholesome diet that’s rich in Omega 3 Fatty Acids. Here’s an interesting article about heart disease in dogs that might help you to understand heart-related conditions a bit better. Some symptoms of this condition include: Depression, a lack of energy, weight gain without an increase in appetite, low tolerance for the cold, a slow heart rate, skin changes, and/or hair loss. A high-quality dog food that contains real meat-based protein instead of corn or wheat fillers can do wonders to help prevent thyroid problems in your dog. Avoiding cheap, bulk dogfood from discount retail chains is probably a good idea as well. Check out this article for more information on Hypothyroidism in dogs. The sinus can cause a lot of problems—including ulcers and infections. It can also make its way into the backbone—which is very dangerous for the dog, as it can make the animal much more susceptible to infections like Meningitis. A diet rich in folic acid for adult females is believed to reduce the likelihood of the problem manifesting in the puppies. Check out this article on yourpurebredpuppy.com to learn more about Dermoid Sinus and how it can be treated. Rhodesian Ridgeback mothers can feed a litter of pups for 5 to 6 weeks with her milk supply if she’s fed a good enough diet. If her diet is lacking in vital nutrients or calories, however, then the milk will probably start to dry up before then. By week 3, Ridgeback puppies can start to eat a little bit on their own. Start with baby porridge mixed with goat’s milk and an egg to supplement the mother’s milk, and then gradually work your way up to kibble mixed with this formulation to get them used to it. By the time a Ridgeback puppy is 10 weeks old, he/she will normally weigh somewhere around 12-15 pounds, and will require about 430 calories per day to stay active and energized. Dogs of this breed are usually ready to go to their adopted family by the time they’re 8 weeks old. There are obviously a lot of quality dog foods out there for dogs of every breed—but we like to take a closer look and find the best kibble blends for each breed’s specific needs. The truth is that every dog breed needs something a little bit different—which is why we believe that ​Blue Buffalo Wilderness High Protein dry dog food is the very best choice for your Rhodesian Ridgeback. First of all, it contains green peas—​which ​is a fantastic source of Folic Acid. This is important for the adult female Rhodesians because it’s believed to help to prevent incidences of Dermoid Sinus in puppies—which is a very good thing. Secondly, it’s ​contains flaxseed and fish, both of which are rich in Omega 3 and 6 Fatty Acids, which are important for the Ridgeback’s heart health. 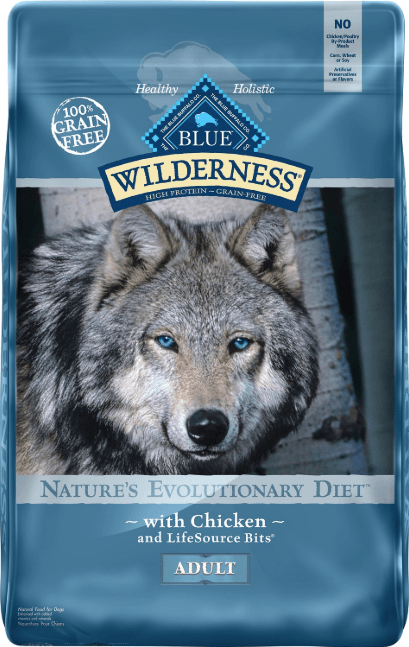 ​Blue Buffalo Wilderness is also a grain-free formulation. 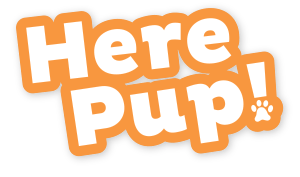 Its high-quality ingredients will provide a perfect solution to the breed’s predisposition to Hypothyroidism—which is another huge plus! ​If you’re looking for the perfect all-around dog food for your Rhodesian Ridgeback and don’t want to sacrifice quality or nutrition, then ​Blue Buffalo Wilderness is definitely the way to go. This dry dog food formulation is simply a cut-above the rest, and we enthusiastically recommend it for loving Rhodesian Ridgeback families everywhere.